The lap pool consists of four lanes measuring twenty-five yards in length. The pool’s thermostat is set around 82 degrees, which is ideal for workout conditions. The pool is open the same hours as the club and is always available for any member to use. 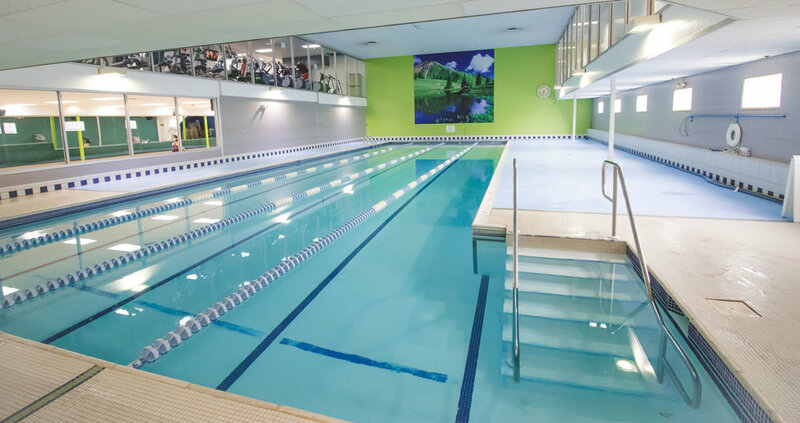 Whether you’re looking to swim laps or doing an aerobic workout, the lap pool is a great place to burn calories and raise your heart rate without causing joint pain. Some other great benefits of swimming are: total body workout, optimizes cross training, maximizes your cardio, and it is refreshing! Please note there is no lifeguard on duty. Children 14 and under are allowed to swim only if they are potty trained and accompanied by an adult. Kids 15 and over can be left unattended.